Another worthy addition to the canon of Vincent Van Gogh films (see Lust for Life, Vincent & Theo, and Loving Vincent) is Julian Schnabel’s freeform rendition (drawn from old epistles during an abyss) which may not have the desired narrative or dramatic sweep even for more than a few discerning art-house cineastes. Still, At Eternity’s Gate has an emotional potency from a luminescence, a starburst evinced by the inscrutable Dutch artist (whose works include The Starry Night) who took his own life at age 37 though the outcome isn’t likewise in this occasionally rich presentation. 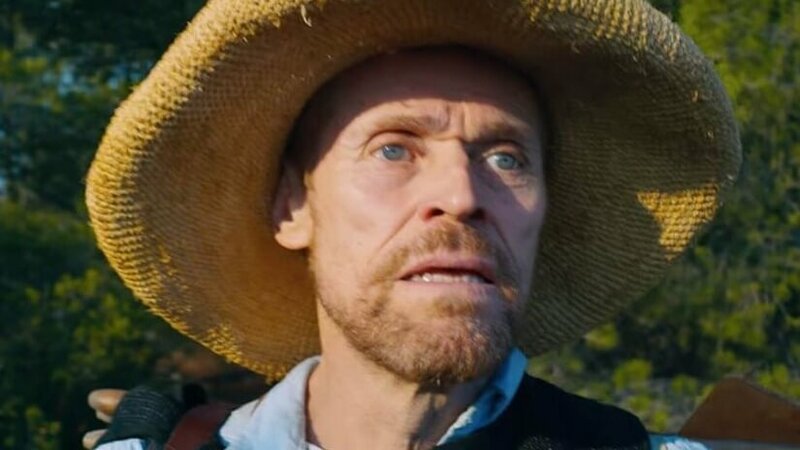 Willem Dafoe (The Florida Project, The Grand Budapest Hotel) is an interesting choice (the actor is actually 26 years the subject’s senior) for a mentally ill man whose output would be greatly valued long after his death as this surreal tale (with shades of Terrence Malick in certain interludes) moves from Paris to Arles and finally, Auvers-sur-Oise, France. A confidante and financial enabler is brother Theo (Rupert Friend of A Simple Favor and The Young Victoria) while he hobnobs with colleague Paul Gauguin (Oscar Isaac of Annihilation and Operation Finale). He goes south for what appears to be an unprecedented spree in his field that pundits hardly hold in high esteem. Then, there is the instability which leads to recuperation before deterioration resurfaces. What’s absorbing is how the gifted filmmaker (a co-writer and co-editor here) infuses the vicissitudes of Van Gogh whose notorious deranged act is not shown on screen and supplies sincerity to the relationships even if conversations may be prolonged or feel anachronistic. The spirit of Van Gogh and his image come alive in the vivid candor of Dafoe supported by the impressionistic way with the material by Schnabel (a revered artist in his own right and maker of an awe-inspiring The Diving Bell and the Butterfly) which offsets what might be rather imaginative decisions in the screenplay and (ponderous) editing. Especially when Van Gogh is in an asylum (as he made his eponymous piece) in an interesting dialogue with a cleric (Danish thespian Mads Mikkelson of The Hunt, Doctor Strange and Casino Royale). Those having the patience to pass through Schnabel’s “Gate” may be surprised how his conceptualization of a tormented talent relates an elegiac artistic beauty. MPAA Rating: PG-13 for some thematic content.